This Pro Alloy full Aluminium Radiator solves that particular problem, but it does a lot more! If you are serious about your trackday habits or if you are planning to race your car, this is the ultimate radiator for your needs! 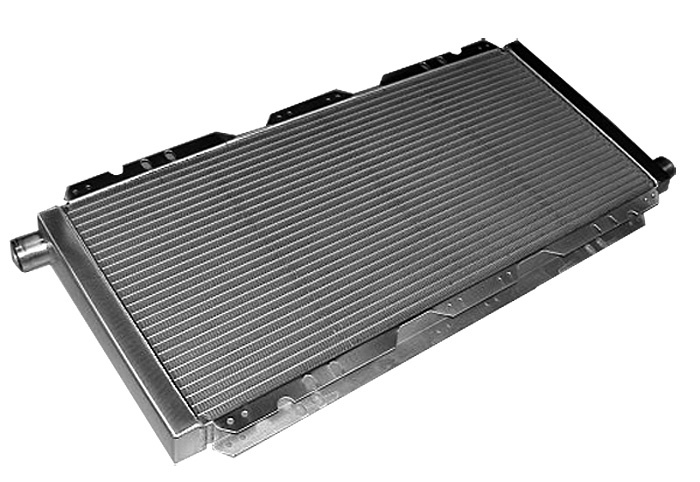 Although this 45mm thickness might look like a small step, you are in fact taking a major hike in cooling capacity as you're not only increasing the thickness, you're also going from a single row to a twin row system. This makes a difference! This radiator is a direct replacement for the OE item.